Hats off! (then out the door). 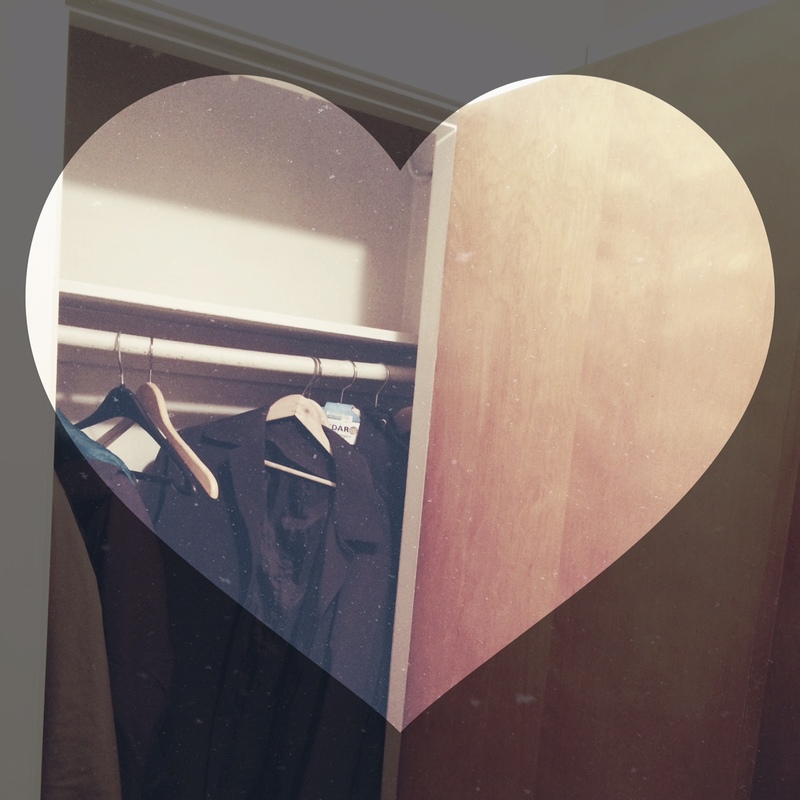 Today’s purge, hall closet. It’s Saturday! Naturally I do bigger purges on days I have off. Sometimes it’s hard to know where to begin. I thought it might be useful to document my process. Step 2—Dump the stuff on a work surface (such as your dining table). Step 3—Sort. Sun hats, mittens, gloves, baseball hats . . . etc. A lot of “what ifs” here clogging up my valuable space. Note: a “what if” applies to anything you rarely use but keep it just in case “what if a group of friends stop by and want to go for a walk and it’s cold out and none of them have hats! I better keep all these hats just incase that happens.” That’s not gonna happen. Don’t keep the hats for that reason. 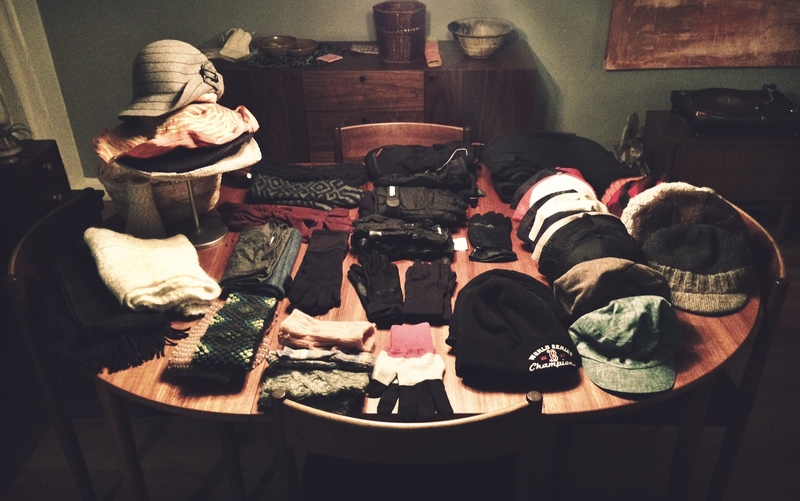 Step 4—Inventory. Use this to help you identify your excess items. 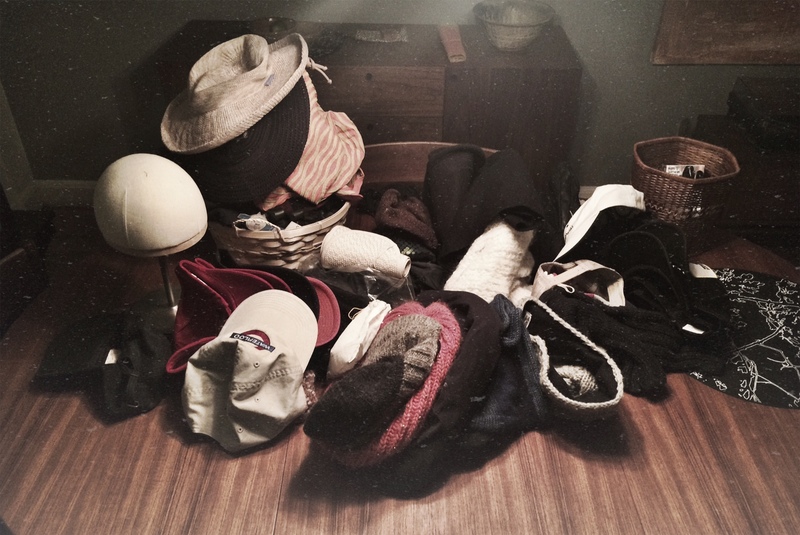 Make decisions like “I will keep 10 hats” (or more, or less. This is a personal choice). Pick your favorites. Take the rest to Salvation Army. I’d like to emphasize how valuable it is to confront yourself with the question of “how many _____do I need?”. This type of question gets you focused on you and your home (not the actual things cluttering it up). 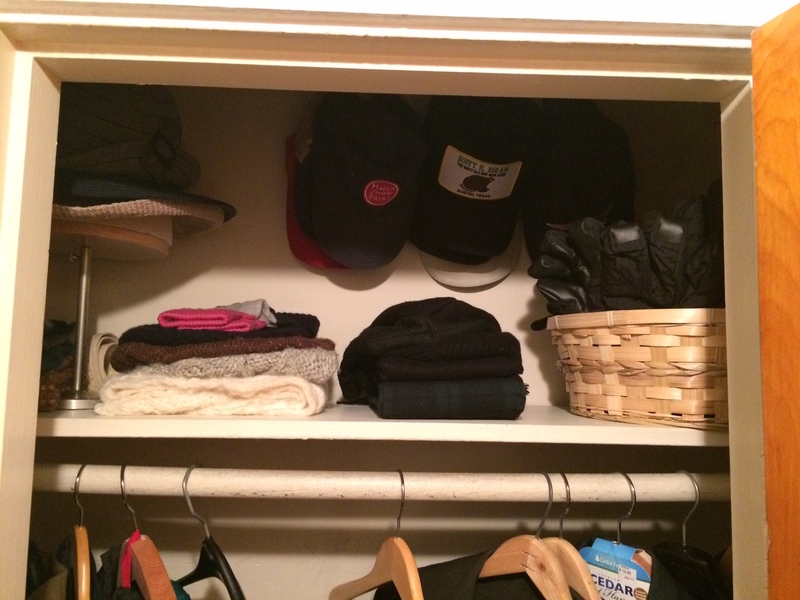 What you don’t want to do is emotionally connect with every hat you evaluate (“oh this would look so cute if I ever find that green plaid coat…”) This is the most challenging part of decluttering (or any change of meaning in your life), you have to change your thought process. Also, if you’ve ever had a close relationship with someone who lived through The Depression (for me it’s my grandparents), this can make you feel ungrateful when you decide to let go of anything. You’ll need to work to get over this hurdle. Remind yourself that 2015 is a different time, with different challenges. Call upon others’ lessons who have also learned to let go, or embrace a life with less stuff. YouTube is full of tips. Here’s a video playlist of some of my minimalism favorites. On a few videos (may or may not be on the playlist) it was pointed out that just because you have it, doesn’t mean you’re using it. So many people in this world don’t have what they need. You hanging on to excess is preventing others from benefitting. This really spoke to me. I used this to motivate me. It really worked. Especially with the hats and winter approaching. Step 5—Put all the keepers back. Woah. Lookin’ good! What did I Get rid of today? 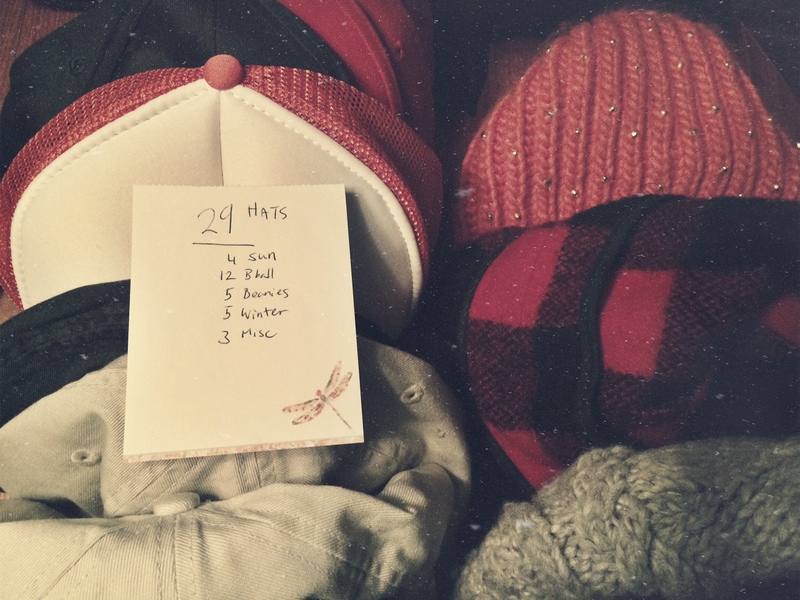 Eight hats (3 baseball, 3 winter, 2 summer/sun). Not great, considering 29 was the start. Still good. No shame in baby steps. Three, and a half, mitten/glove pairs (trashed the poor loner “half”, donated the mittens that still looked good, trashed another . . . placed the remaining one with my crafting supplies for the wool (shrug). Ok, ok. That one doesn’t count as a purge (focus on the other ones). Desk clock (not shown). Super cute, but loud as a knife stabbing your eardrum (at consistent intervals). Horribly unpleasant. Bathing suits (not shown). Some trashed for being old, others donated for looking new. Tights/stockings (not shown). “Hosiery” as my nana may have said. Basically, they were old, never used, duplicates or just no good. Enjoy your weekend! Will these leaves ever finish falling?